Daniel M. Wegner, a pioneering social psychologist who helped to reveal the mysteries of human experience through his work on thought suppression, conscious will, and mind perception, died July 5 as a result of amyotrophic lateral sclerosis (ALS). He was 65. The John Lindsley Professor of Psychology in Memory of William James, Wegner redefined social psychology as the science of human experience. He was arguably most famous for his experiments on thought suppression, in which people were unable to keep from thinking of a white bear. Wegner also broke ground in other areas of social psychology, including transactive memory (how memories are distributed across groups and relationship partners) and action identification (what people think they are doing). He had also explored the experience of conscious will, and most recently focused on mind perception (how people perceive human and nonhuman minds). Gilbert said he was privileged to call Wegner one of his closest friends. The two met while they both worked in Texas — Gilbert at the University of Texas and Wegner at Trinity University. While Wegner was known for his pioneering work on the mind, Gilbert said his intellectual curiosity seemed never to rest. That intellectual heft, however, never masked Wegner’s humor. Even in his final days, Gilbert said, Wegner’s restless mind faced the challenge of his death with an inspirational degree of curiosity. Born in Calgary, Alberta, Canada, Wegner studied as an undergraduate and graduate student at Michigan State University, earning his Ph.D. in 1974. He was appointed an assistant professor and rose to full professor and chair of the psychology department at Trinity in San Antonio. Wegner joined the faculty in the psychology department at the University of Virginia in 1990, where he was the William R. Kenan Jr. Professor of Psychology before joining the Harvard faculty in 2000. Wegner was the author of four academic books, an introductory psychology textbook, and nearly 150 journal articles and book chapters. Wegner’s research was funded by the National Science Foundation and the National Institute of Mental Health. In 1996-1997 he was a fellow at the Center for Advanced Study in the Behavioral Sciences, and in 2011 was inducted as a fellow of the American Academy of Arts and Sciences. 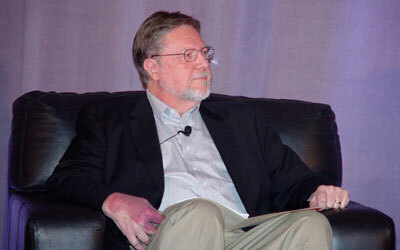 He received many of the top honors in his field, including the William James Fellow Award from the Association for Psychological Science, the Distinguished Scientific Contribution Award from the American Psychological Association, the Distinguished Scientist Award from the Society of Experimental Social Psychology, and the Donald T. Campbell Award from the Society for Personality and Social Psychology. Wegner is survived by his wife of 29 years, Toni Giuliano Wegner of Winchester, and his daughters, Kelsey Wegner Hurlburt of Dunkirk, Md., and Haley Wegner of Winchester. At Wegner’s request, his body was donated to the Massachusetts General Hospital’s Neurological Clinical Research Institute for ALS Research. A memorial service will be held at 4 p.m. on Saturday at the Winchester Unitarian Society, 478 Main St., Winchester, Mass. Wegner requested that his service be a celebration of life, and so would welcome Hawaiian shirts. This entry was posted on July 10, 2013 at 7:17 pm	and is filed under Illusions, Life, Social Psychology. You can follow any responses to this entry through the RSS 2.0 feed. You can leave a response, or trackback from your own site.